Whether you’re launching for the first time or hoping to drum up support for a published book, virtual tours can be incredible for building buzz, encouraging people to share your content, growing your platform, enhancing your reputation, selling books, and much more. Before you reap the rewards, however, you must first plan. Since book bloggers and podcast hosts will be counting on you to deliver content and show up to interviews during the tour, it’s crucial to be well organized. That means scheduling and preparing content well ahead of time, as well as ensuring your digital assets are up to scratch. You’ll want to start at least 3-4 months ahead of launch day so that you have plenty of time to connect with hosts, create content, and manage the entire process without being rushed. Besides checking your author website, book sales page, retail product page, and social media accounts, make certain your media kit contains a short and long bio, a high resolution profile photo, a high resolution book cover, a list of potential interview questions, and links to all relevant profiles. Tour lengths are generally two to three weeks long. However, they can be extended or shortened based on your goals, availability, and the length of your book launch campaign. Ideally, you’ll want to pick tour start and ends dates with your launch day in mind. Having content and interviews published on release day will be crucial for generating visibility and buzz at the right time. Compile a list of potential tour stops (i.e. book blogs, podcasts, and radio programs) that fit your genre, niche, subject matter, and target audience best. Research the hosts, research their content, and then gather any relevant contact information. If there are any specific or special events (e.g. 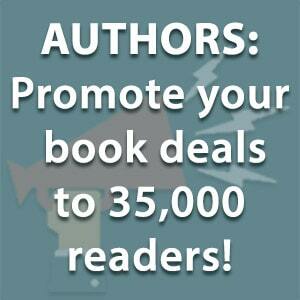 author spotlights) that could work well for your campaign, be sure to note those down, too. You want to be familiar with both the hosts and their platforms when you pitch. Keep in mind that some will decline your request, so always look for more opportunities than you’ll actually need. Once you’ve identified your target tour stops, start engaging with hosts and their audiences by posting comments, sharing their content, and linking to them on social media. Early interaction can help raise your profile, and you’re far more likely to be accepted if you pitch to a warm lead than a cold one. During this time, you’ll also want to start pumping up your own audience so that they’re ready to support you all the way. What do you want to achieve during your book launch? Every blog post, interview, or virtual appearance should tie into those goals and contain a relevant call to action for readers, listeners, and viewers. Armed with a list of your goals, start writing down a few guest post concepts. It’s important to note that this tactic is not just about promoting your book. You want to provide value, education, and entertainment to both yours and your host’s audiences. The easiest way to brainstorm ideas is to take lessons and story elements from your book and then repackage them for individual tour stops. If you’re a non-fiction author this might include sharing a few key tips from your book. If you’re a fiction author, this might include discussing main themes or interesting topics that run throughout your story. Each email pitch should be personalized for the particular host you’re targeting. Besides including basic details about your book, tour dates, and how you might contribute, you should mention that you’re familiar with their content and explain why you’d be a good fit for their audience. Let them know what to do if their answer is “yes.” Be sure to keep your pitch short and sweet. Bloggers are busy people, so they’re more likely to read and respond to a few concise paragraphs than an email containing your entire life story. [Insert your author name] here. You may have seen me hanging around the comment section of [insert name of blog, podcast, or social media channel]. I’ve thoroughly enjoyed your content and getting to know members of your community. I’m the author of [insert your book’s name]. It’s about [insert exciting 1-2 line book description], which is something I believe will truly resonate with your audience. I’m scheduling a virtual book tour from [insert tour start date] to [insert tour end date] and would love to make [insert name of blog, podcast, or social media channel] a “stop” if you’re interested. While I have an idea for a guest post on [insert topic], I’m open to interviews, reader Q&As, social media chats, reviews, giveaways, and more. You can view a sample of my writing here: [insert relevant link]. I’d also be happy to send you a digital copy of my book to help you decide whether this is a good fit for you. Thanks so much for your consideration and I look forward to hearing from you! Once the person responds, you can then start working out the finer details of the event with them. As positive responses arrive, you’ll want to start adding relevant dates, interview times, guest post deadlines, and other critical details to your calendar. Also note down when you’ll need to send supporting content such as your media kit and advance reader copy. If a giveaway is involved, determine when you’ll need to ship prizes. Lastly, don’t forget to add tour stops on your own platforms to your calendar. This is your opportunity to shine in front of people who may never have had a taste of your work before now. Make sure you write killer content that’s sure to showcase you and your book in the best possible way. Be sure to take your time, work according to any guidelines provided, and include relevant links and calls to action. Whatever you do, don’t forget to proofread. From checking links and product pages to verifying dates and topics, you should ensure everything is working and correct. You do not want to embarrass yourself or your tour stop host by failing to show up for an interview or using the wrong links. In addition to thanking your hosts and possibly sending a small gift, follow up by frequently revisiting stops throughout your tour and afterwards to address any reader questions and respond to comments. You’ll also need to send prizes to any giveaway winners as soon as humanly possible. Being courteous and doing what you can to ensure the entire tour runs smoothly will instill trust, effectively creating further opportunities for you to tour again in the future. How well did you do? Were there things you could improve? Were there tactics that worked so well, you should include them in future launches? Taking time to assess where and how you made the most impact will help you create a roadmap for creating a successful blog tour for every book you launch. It should be clear by now that blog tours are a triple threat. They benefit hosts, they benefit readers, and they benefit you. They’re a terrific tool every author should add to their arsenal of marketing tactics, especially during a book launch. Don’t forget that readers seeing you on multiple related platforms writing and answering questions as an expert will send a strong message and have a positive impact on your author brand and book. 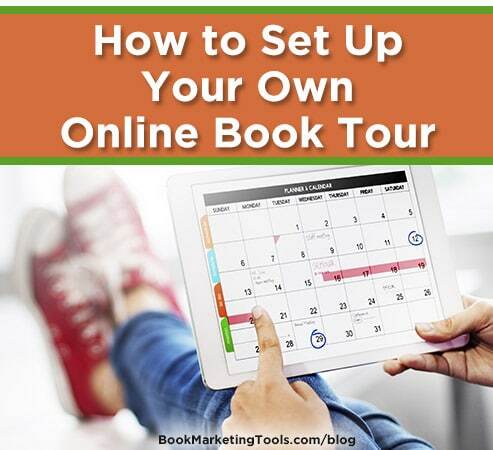 What do you think is the most important part of planning an online book tour? Share your thoughts in the comment box. If you’re launching a book of your own, be sure to gain a head start by downloading a copy of our free book launch success checklist below.